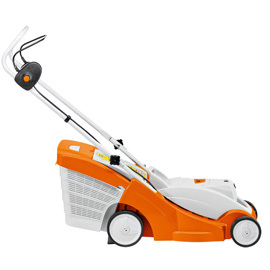 It's time to tackle the turf with uncompromised mowing power and innovation only from STIHL. 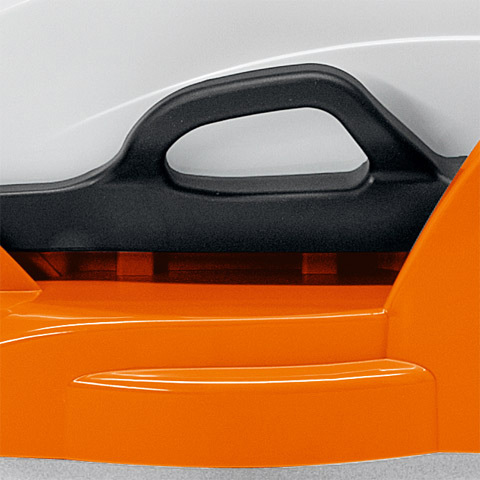 The RMA 370 lawn mower is super lightweight due to the polypropylene single-shell construction paired with lithium-ion power. The ingenious design proves the RMA 370 to be robust and impact-resistant, ready for years of reliable performance. 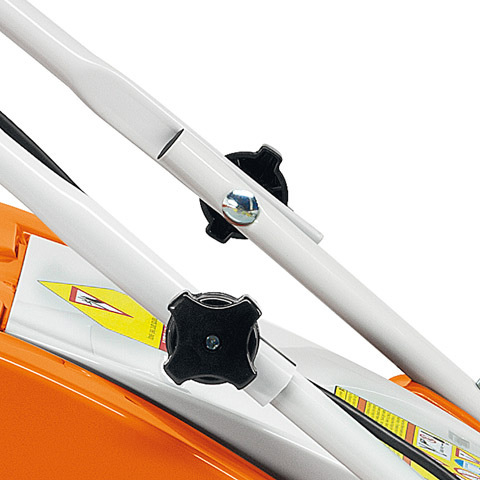 The RMA 370 comes equipped with dual carrying handles for easy transport, single-handle height adjustment, durable grass collection box with level indicator, foldable handlebar for easy cleaning and storage, an innovative multi-blade for excellent cutting performance and a safety key to avoid unintentional operation, perfect for family oriented households. Very easy to adjust the height with a simple lift and place movement. There are 5-stage height settings. Spring assist for smooth operation. Set the ideal grass height with the easy to read height indicator. Two chargers available: AL 100 Standard and the AL 300 Quick charger. 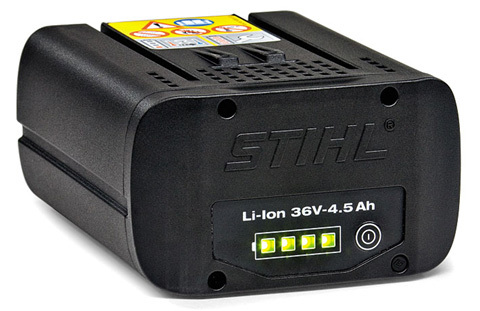 Powerful lithium ion battery pack compatible with all STIHL cordless machines. The battery pack can be charged several hundred times without the capacity decreasing significantly. No memory effect and constant power while in operation. Allows operation for long periods, just like a gas machine. Includes a charge level indicator with four LEDs for indicating the charge level. 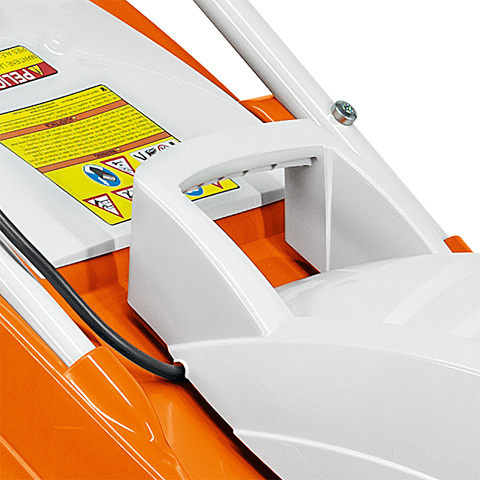 We recommend using only the AP 160 battery with the RMA 370 lawn mower. 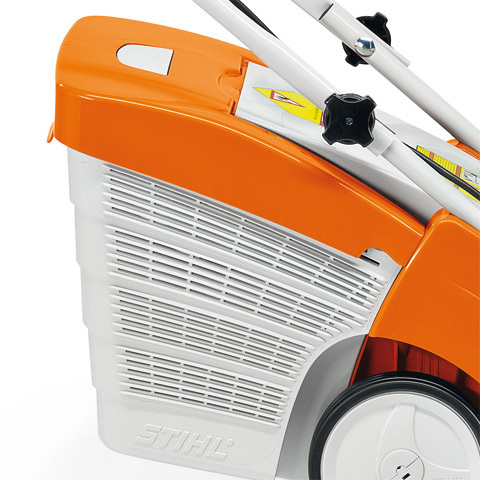 Rechargeable with STIHL charger AL 100 or AL 300.